Custom Web application development - Tahoma d.o.o. Our expertise covers all your unique business requirements. We provide specially developed frameworks for specific organizations or projects to provide you with unique competitive advantages. Our team members are specialists in custom solutions. Finding a great developer is very hard these days. This is where we come in. As a result of almost a decade of outsourcing experience, we are convinced we are your best choice, so step up and contact us with details about your project. Tahoma d.o.o. was established in 2009 with our primary activity being software programming. The company started with 3 employees and today there are 13 of us. Hiring a technical expert can be one of the most challenging employment tasks a young company may make, so be smart and choose wisely. 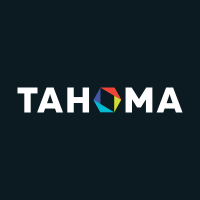 Tahoma Team will help to grow your business and take it to the next level. Use our knowledge to make your business more successful. Enterprise support, solid code, and sound advice to lead your business online well into the future. CEO and Co-Founder, Nalivpero d.o.o. Tahoma d.o.o. was established in 2009 with our primary activity being software programming. We started with 3 employees and today there are 13 of us. © 2019 TAHOMA d.o.o. All rights reserved.